A series of illustrations for a funny BuzzFeed list of impossible ways to improve social media. 6. 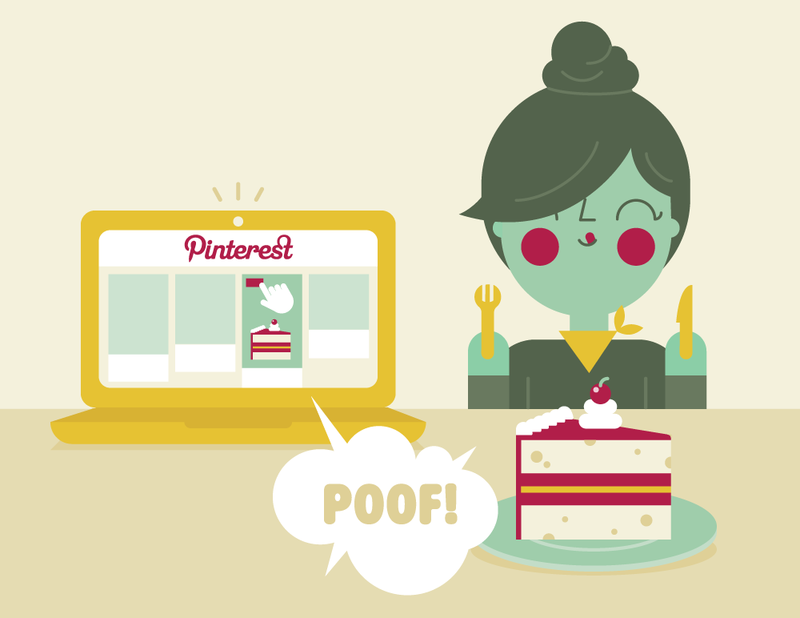 A Pinterest extension that when you pin a recipe just gives you the food. 9. A Facebook app that sends your friends an anonymous message when they are doing something embarrassing (like feeding the trolls they went to high school with). 16. Built-in anonymous focus group testing for tweets where it tries them out on strangers before you tweet them, and then you can edit as needed. 23. A feature on Instagram that tells you exactly where an impossibly stylish person got his or her cool clothes/shoes/makeup/life.